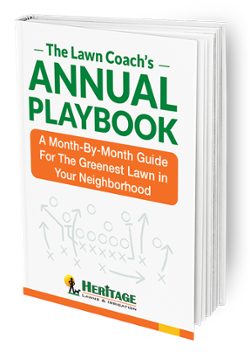 Heritage Lawns offers a three-step system for tree and shrub care. Step one is prevention. We take steps such as overwintering insect control, new growth protection, and early season protection to make sure your plants get a good start in the spring growing season. Step two is maintenance. We provide ongoing maintenance which may include a soil analysis, an improved watering regimen, treating existing problems, and continual observation for detection of disease or insect infestation. Early diagnosis and treatment is critical. Step three is treatment. At Heritage, our horticultural specialist will prescribe a treatment protocol to rid the plant of disease or insect infestation. This Tree & Shrub Care Program, custom designed for your landscape, enables us to offer the best results without unnecessary product applications. Dutch Elm – leaves on infected branches turn dull green to yellow, curl, and become dry and brittle. The branch will wilt. Wood beneath the bark will show a brown discoloration. Phomopsis Blight – in the spring, when new growth is wet, it turns brown. If you suspect tree or shrub disease, damage, or insect infestation, call Heritage Lawns & Irrigation immediately. The longer you wait, the worse it will get. We have a better chance of saving your valuable landscape plants if we catch it early. Our horticulture expert can diagnose and start insect and disease treatment right away. Our tree and shrub programs and ongoing maintenance plans will keep your plants insect and disease free. For Heritage tree and shrub treatment in Kansas City, Call Heritage Lawns & Irrigation at (913) 451-4664. To schedule Tree & Shrub Services, call (913) 451-4664 or fill out the form to the right and we’ll call you to set the appointment.